We know it's busy making sure every detail of your big day is perfect...but have you thought about the coffee? Bring Mad Priest to your special day for a truly unforgettable experience! Our experienced, professional baristas will delight your guests with specialty coffee drinks that pair perfectly with your wedding cake! Having Mad Priest Coffee at our wedding was such a special addition to the day for us. Our guests raved about how delicious the coffee was and what a unique and special thing it was to have a professional barista at the reception. Michael was so professional. The coffee was a huge hit! Best thing we did at our wedding, besides get married of course! 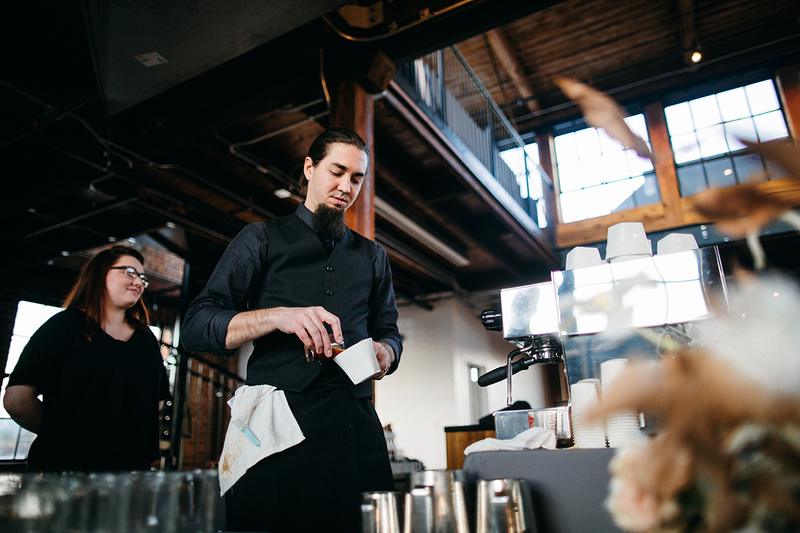 So what does it look like to have an espresso bar at your wedding or special event? We bring our gorgeous little La Marzocco espresso machine and coffee bar setup and serve hand-crafted espresso beverages. With extensive wedding and private event experience, we are confident our team will give your guests the best experience possible! Our basic package includes a Mad Priest barista, two hours of service, and unlimited espresso drinks. Many more options are available like Cold Brew and other specialty coffee drinks, real china, personalized coffee sleeves, and small favor bags of Mad Priest Coffee. We are based out of Chattanooga, TN, but will travel to Atlanta, Nashville, Knoxville, or Birmingham for an additional fee. To find our package that best suites your unique event, contact us at events@madpriestcoffee.com or call us at 423-724-7654. We look forward to making your event memorable with Mad Priest Coffee!